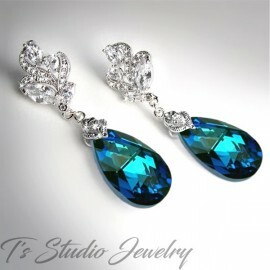 Silver Peacock Feather Bridesmaid Earrings with blue, purple and green crystals. 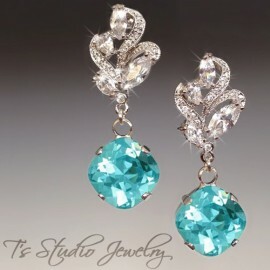 These earrings are perfect for your peacock theme wedding! 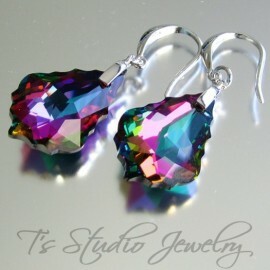 The crystal colors are completely customizable. 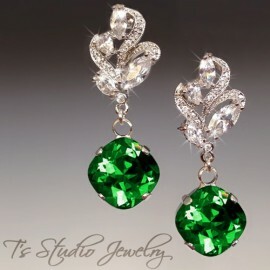 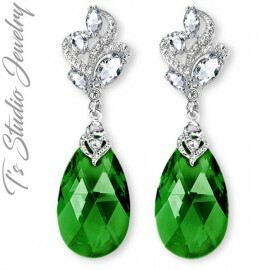 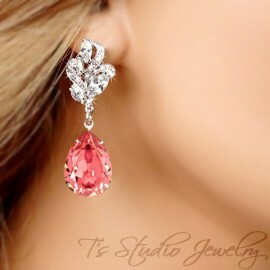 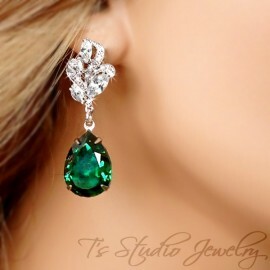 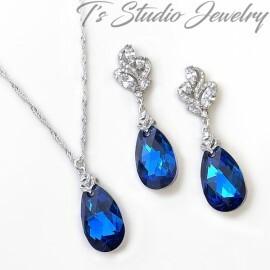 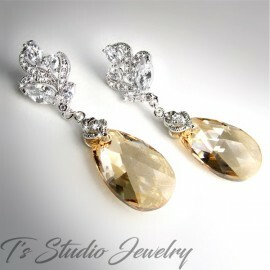 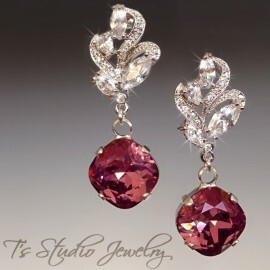 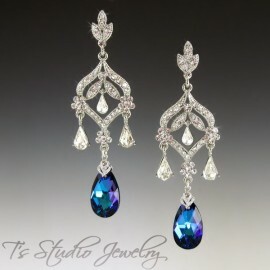 The main focus of the earrings are the silver feather dangles that are encrusted with tiny clear crystals, with a pear shaped cubic zirconia crystal in the center. 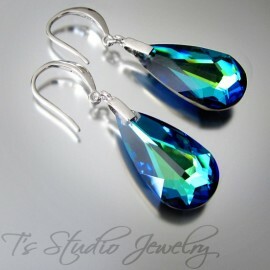 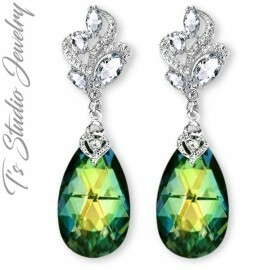 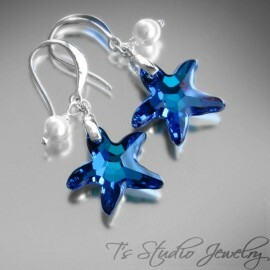 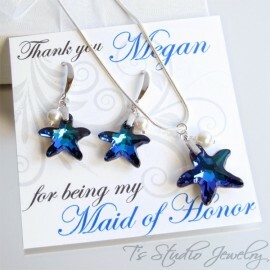 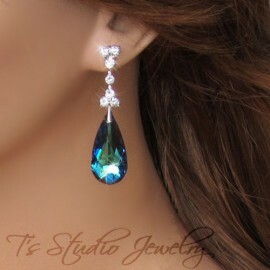 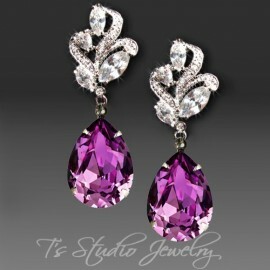 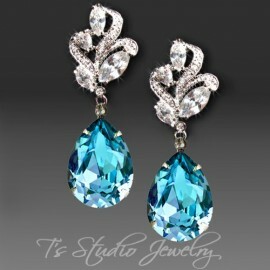 The post style earrings have 8mm blue crystals at the top, with smaller blue, purple and green crystal accents. 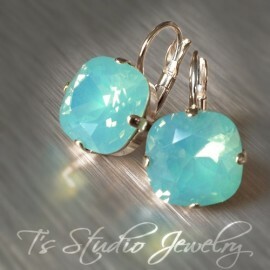 Please contact me for a custom color combination.